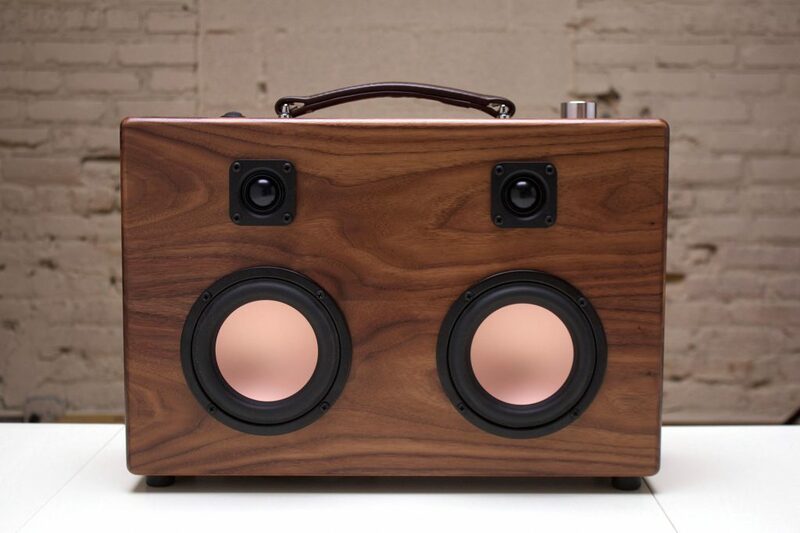 After months of designing, planning and testing we’re happy to announce The Modern Boombox!. 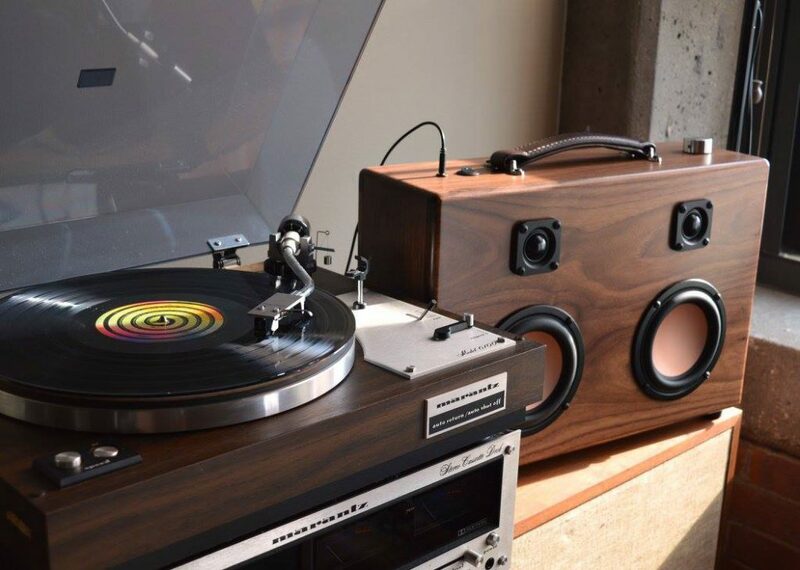 Made from solid walnut on the top & sides with thick veneer covered mdf front and back to maintain even acoustic resonance. In addition, we used a clear satin finish with enough coats to standup to outdoor use. Go ahead, take the party outside! 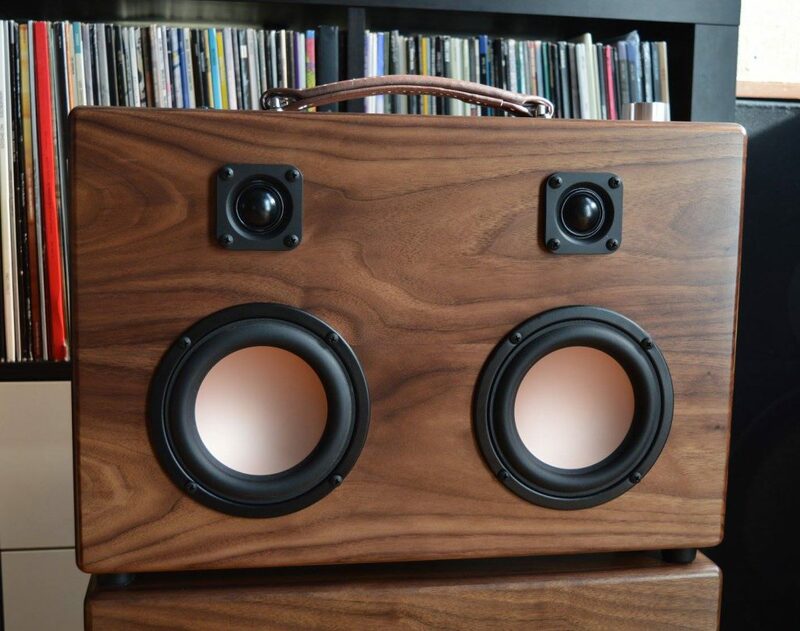 This case really packs a punch when called upon, Ideal for living room listening or backyard parties. No outlet necessary thanks to the new Lithium Ion Rechargeable battery system you will get 10+ hours of playback on a single charge. We were inspired by the golden age of audio where hi end consumer electronics met MCM style and sensibility. We wanted to bring that same vibe for the modern music listener who enjoys vinyl records as much as the convenience of bluetooth streaming and portable music.